TJ Hughes: Is this the secret to beautiful hair?? Is this the secret to beautiful hair?? We're sure that, just like us, you've all heard the buzz about the wonders of Moroccan Argan Oil. Well now you can try it for yourself, without breaking the bank, with this new haircare range we have available. This is a plant oil which is produced from the kernels of the Argan tree which is found in Morocco, due to the small and specific growing area it is one of the rarest oils in the world. For this reason it is often referred to as liquid gold. It is reputed to have numerous properties to improve skin and hair and has even been used to heal burns. 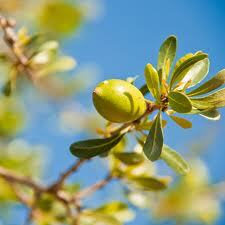 Using Moroccan Argan oil on hair can help to repair damage caused by colouring, perming and heat styling. It is believed that Argan oil penetrates the hair shaft to lock the moisture in and works to restore the natural lustre and shine. This is why Moroccan Argan oil is heralded by celebrity stylists and hairdressers as the best ingredient for ultimate hair and why it has repeatedly topped "what's hot" lists worldwide. TJ Hughes now have this fantastic haircare range from Bayliss and Harding. 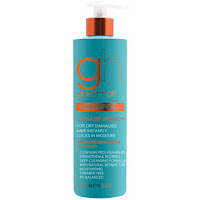 Great Hair Moisture Drench shampoo contains Moroccan Argan oil extract and is perfect for dry damaged hair as it instantly locks in moisture. This shampoo contains Pro-Vitamin B5 to strengthen and nourish the hair and has a deep cleansing formula. This shampoo is a must have at only £3.99 for 500ml (no that price is not a typo!!!). 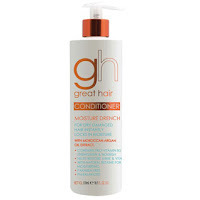 This range also features Great Hair Moisture Drench conditioner with Moroccan Argan oil extract which instantly locks in moisture for dry damaged hair. Contains Pro-Vitamin B5 to strengthen and nourish the hair which helps restore shine and vitality. And at the unbelievable price of £3.99 for 500ml why not make this an everyday treat? ?